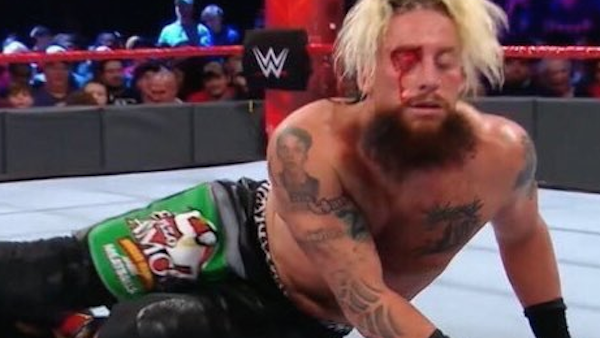 Enzo Amore has taken quite a punishing in the last 12 months. Hoofed off a touring bus by Roman Reigns, robbed of his babyface act and even forced to enter a shark cage on pay-per-view whilst nurturing a fear of heights, the 'Smacktalker Skywalker' has been made to suffer for his art. 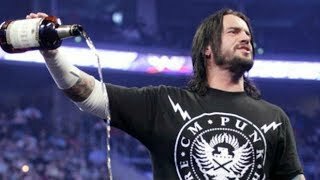 Thankfully, he won't have to pay penance for his accidental blood-letting during a Cruiserweight Title defence against Cedric Alexander on Monday Night Raw. An errant shot left Amore seeing red, similar to Vince McMahon's own hardway cut brought on from a Kevin Owens headbutt in September 17th. The all-too-real cuts aren't ideal in the current era, but are at least free from McMahon's sponsor-friendly rage. Batista and Chris Jericho weren't so lucky when the pair drew blood in their collective effort to draw attention in 2008. Sending a message to the roster, Big Dave was fined a whopping $100,000 for blading, with Jericho, agent Dean Malenko and referee Mike Chioda each billed $5,000 for their own involvement. Batista paid all the fines, but noted how he considered it a gross overreaction from the Chairman. But the novelty of blood in the modern product is such that red once again equals green. Amore and Alexander will wrestle again, now with even greater stakes. Either intentional or by accident, the few times WWE have resorted to literally opening up old wounds in recent years have yielded impressive results.